On Friday 25th November, Garden Court hosted a commemorative event for Alexander Litvinenko to mark the 10-year anniversary of his death. The event was attended by family and supporters from politics, the media and the arts. 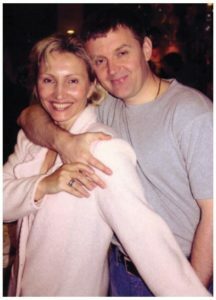 “Ten years ago today my husband, Alexander (Sasha) Litvinenko, was cruelly taken from me and my son in this great city which we had begun to call home, where we thought we were finally safe and where we thought we would live out our dreams together. Sasha’s legacy is an enduring one and today we celebrate his bravery. He was an extraordinary man who, as everyone now knows, was prepared to speak out against the FSB whilst still in Russia, and also once escaping it. After his murder, I knew that my struggle had only just begun. It has taken ten long years for the truth to be established and for Sasha’s dying words that President Putin was responsible for his death to be proved to be true. I know Mr. Putin’s Russia does not accept the findings of the British public inquiry and will continue to deny the truth in the face of overwhelming evidence. But those findings are part of history now and the rest of the world understands the difference between truth and propaganda. And that is what matters to me. What action world leaders will take against the ever vengeful Russian state in these dramatic times remains to be seen. I hope and pray that my struggle has not been in vain. Maya Sikand of Garden Court Chambers’ Civil Liberties Team is representing Marina Litvinenko in her claim against the Russian Federation at the European Court of Human Rights.